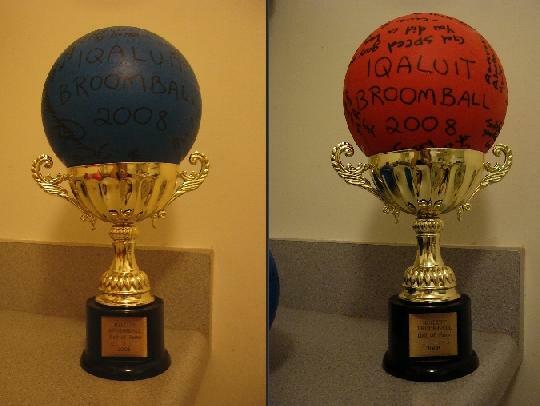 Iqaluit Mass Registration is an annual event that takes place in September. It is the destination for all things sports and rec. A gigantic trade show of activities, Iqaluit Mass Registration is a place to meet-and-greet those involved in sports clubs (e.g. basketball, volleyball, hockey), leisure clubs (e.g. choir, dance, cadets), community services organizations (e.g. Iqaluit Humane Society, Niqinik Nuatsivik Nunavut Food Bank, Qayuqtuvik Society), and service organizations (e.g. Rotary Club, Piviniit Society, Alianait). A lot of the activities are what you would expect of a tiny Canadian town: hockey, curling, and other things that involve ice. But this is Iqaluit, and we're not your average small town. Here, we've rounded up our top 6 unexpected activities that you can find at Iqaluit Mass Registration. Get grounded on the tundra: Shogun ("Continuous Effort") François Ouellette shares his knowledge of Zen Buddhism with Iqalummiut wishing to learn about and practice meditation. Oullette is also an amazing artist whose work has been featured at the Nunatta Sunakkutaangit Museum. Yes. That's *actually* its name (props to whoever submitted that for publication). 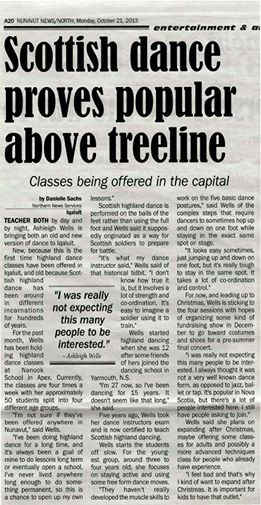 Now this one's really unexpected: Just last year, a newcomer named Ashleigh Wells brought her love for highland dance and tartan to our town. Her table at Mass Registration drew so much attention, Wells found herself with over 50 students in no time - and more asking to join (including their parents!). Iqaluit Highland Dance now has a Facebook page, recitals, and proof that Iqaluit is a cultured mini-metropolis. If you’re looking to get involved in some community action, be sure to check out Iqaluit Mass Registration 2014 this Saturday, September 6, 2014 at 11:00am at Inuksuk High School. Unless you have kids and need to sign them up for highly-coveted yet space-limited activities, save yourself the claustrophobia and roll in a bit later. And, if you are unable to make it to Iqaluit Mass Registration, you can check out your options in the 2014 City of Iqaluit Recreation Guide.